A monoconstituent laquer for tribologicalo surface coatings. In consists of a fast-drying laquer with a carful emulsified high-purity-electrographite (HG045). This product forms a permanent lubricating surface. The lubricant is bound in a laquer coating. You can coat the surfaces by brushing, spraying or dipping. For all surfaces where a permanent coating is needed. For low load-alternation rates. 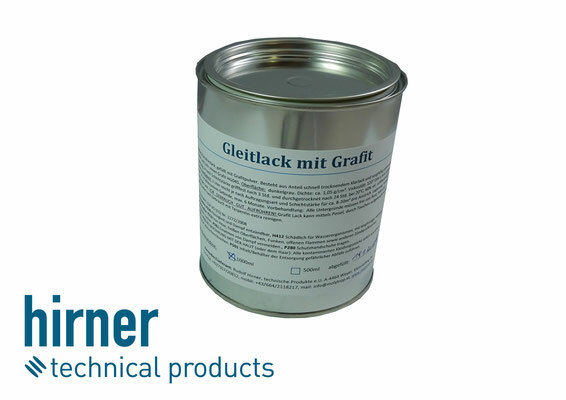 If you would like to find out more about our tribological laquer products you can find additional information in downloads.